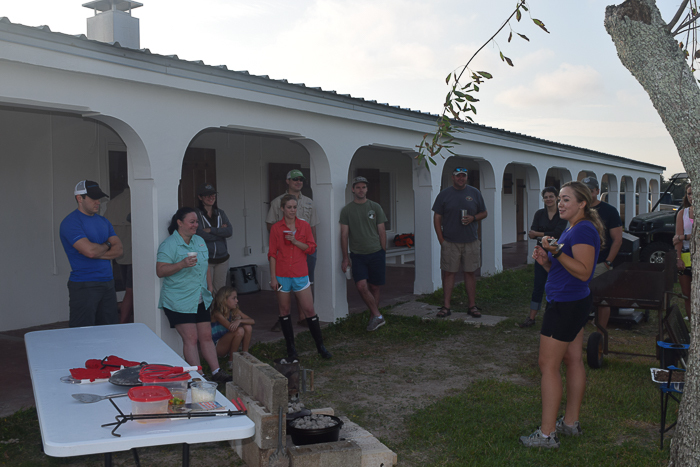 A few weeks ago I did a dutch oven cooking demonstration for the Stewards of the Wild trip to the coast, and made a breakfast casserole. Today I wanted to share the recipe and pics. 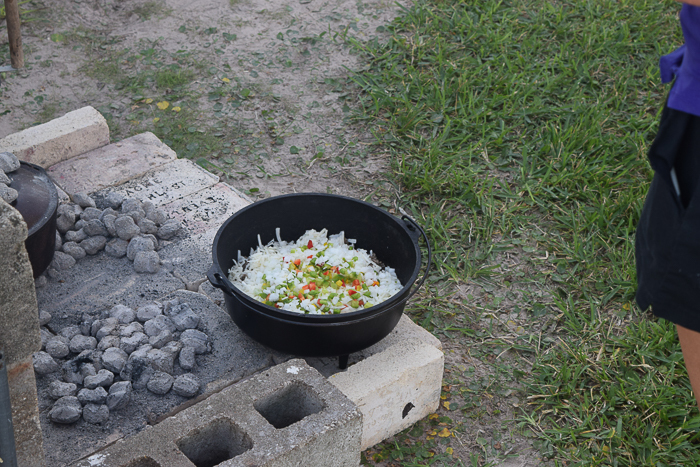 Dutch oven cooking may sound intimidating but this recipe is just as easy as cooking over a Coleman stove. Nothing beats starting the day with a good hot breakfast when you’re out on a camping trip or at the ranch, and this can even be made at home in the city. 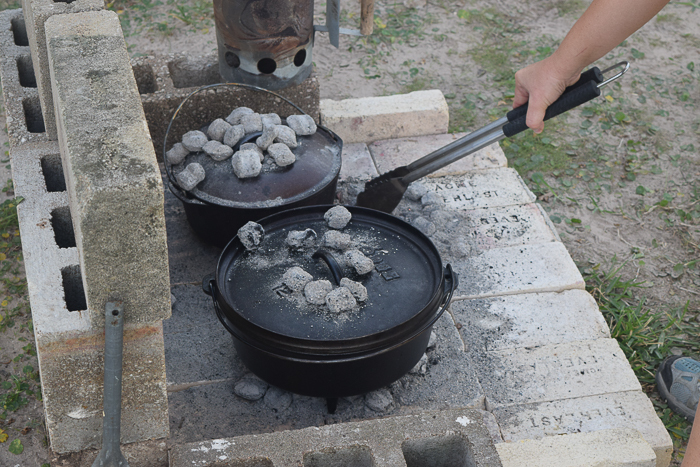 Before you start, here’s a primer on Dutch oven cooking. Prepare a cooking space where you can safely put hot coals without catching anything on fire. The ground works well as long as it is bare and not within a foot or so of the grass. Serve with hot sauce, sriracha, salsa, pico, guac, quesa fresca, cilantro, or whatever your heart desires. Serves 8, give or take depending on serving size and how hungry your party is. It looks like I have no “After” photo, so you’ll just have to trust me that it was delicious. I hope you get the chance to enjoy this on a future camping trip! No Replies to "A Delicious Breakfast Casserole for Camping"
Chickwagon cooking is my term for all "outdoorsy" cooking--from s'mores to wild game. 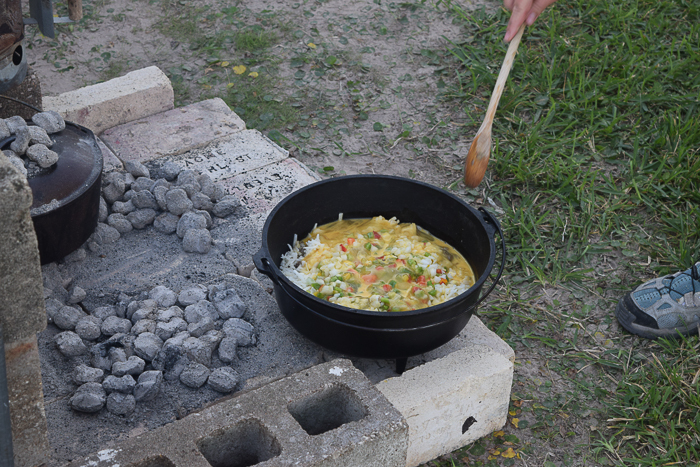 Chickwagon meals can be prepared over a fire, in a Dutch oven, on a camp stove, or at home. Wild game is free range, organic, and most of it is grass-fed.